Our Astral Projection meditation guides you into the transitional stage between wakefulness and sleep (the hypnagogic state), where you will experience and follow visual, auditory and other sensory events that lead to the portal of the astral plane. 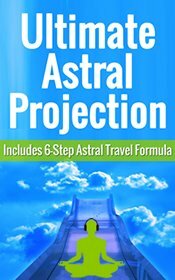 The meditation comes with a 6-Step Astral Projection guide book that provides all the information you need to understand and successfully achieve astral travel. Astral Projection is the practice of leaving your physical body behind and traveling in your ‘astral body' to another dimension (world). 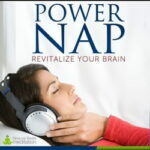 Using specially tuned music and frequencies, our Astral Projection meditation is designed to facilitate astral travel. 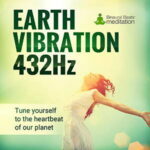 The music begins by using Alpha waves to tune in to your current mind state. 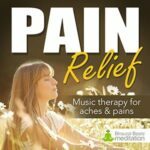 The music gradually drops down 1 Hz per minute, stimulating your creative senses and entraining your brain deeper into relaxation at every level. It finally settles in the Theta state at 6.3 Hz; the frequency associated with the realm of Astral projection. At approximately 8-12 minutes, you will begin to enter the hypnagogic state, the state where your body and mind are on the edge of sleep. At this point, you will need to maintain your awareness and not let your brain fall asleep, which is done by following the images, hallucinations and other mental photography you see in front of you. As your third eye becomes increasingly stimulated, your physical body will fall asleep but your mind will remain engaged in the journey. It is some time after this point that a portal will open and you will be able to astral project. 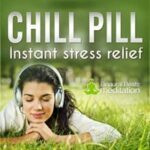 The meditation is accompanied by Ultimate Astral Projection, a guide that helps you understand exactly what astral projection is, how to cultivate a mind state conducive to astral projection, and how this music helps you achieve astral projection. 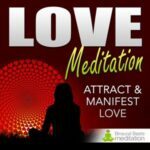 The guide details a proven 6-step formula for you to follow while listening to the meditation. 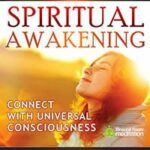 Using this technique, you will learn how to stimulate and open your third eye, and subsequently open the astral gateway which enables you to release your consciousness from the physical world and enter the astral plane. The guide explains what to expect, how to cope with the unexpected, the best times to project and how to distinguish the dream world from the astral plane. 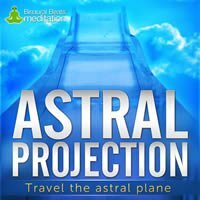 If you want to travel the astral plane, our binaural beats Astral Projection meditation package is your ticket to an alternative dimension!